We work with some of Alaska’s premier brown bear outfitters. Hunters can choose to hunt the Peninsula in the spring on even numbered years (2014, 2016, etc) or the fall on odd numbered years (2013, 2015, etc). 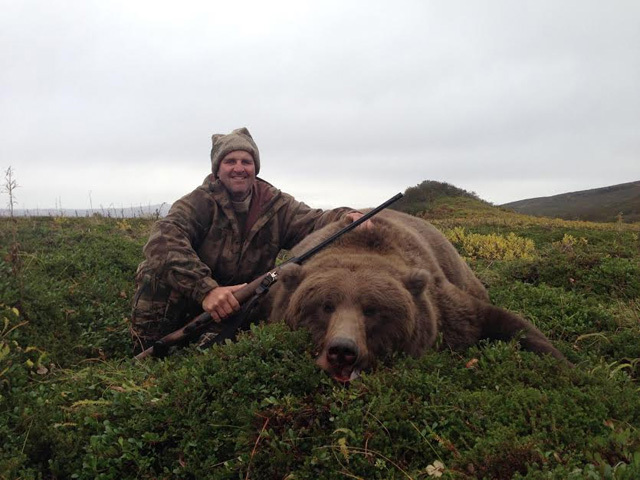 Kodiak Island hunts can be done in the spring or fall every year. Bears typically average 9 - 9 1/2 feet with some being over 10 foot. Skulls average 26-28 inches. Hunts are 10-15 days and prices range from $18,500 to $22,500. Please email or call for additional information.